Had 2004 xc70 in the shop to have timing belt replaced on Thursday. I had them check out the suspension at the same time and have scheduled this week to replace control arms. Today it started making a bad sound from drivers side. It looks like the spring is out of the lower seat. Is this likely a coincidence? Picture attached. Would also appreciate any input on what this will take to repair? S60, 2.4, 2002, Timing Belt Jumped/Slipped? 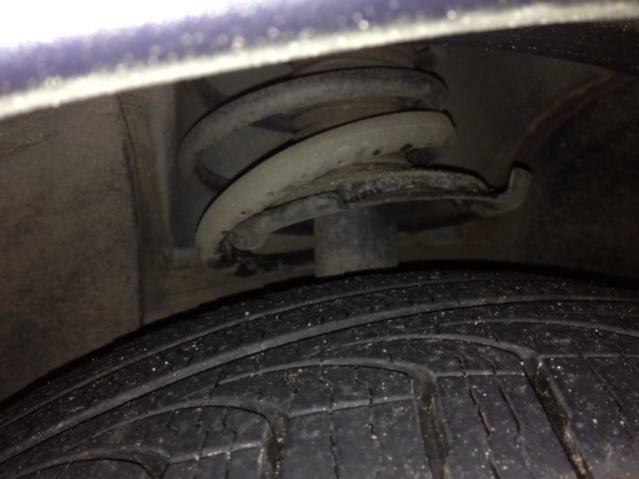 Quick Reply: Spring slipped...did mechanic cause?